Residents put at risk by ideology, misguided decisions. The administration of Michigan Governor Rick Snyder is at the center of criticism over a public health crisis in Flint, where a state decision to switch the city’s water source ended with lead-contaminated water. Here, he speaks to the Michigan Municipal League in 2011.Click image to enlarge. On Tuesday, January 12, residents of Flint, Michigan are invited to bring their children to a local elementary school for a “Lead Testing and Family Fun Night.” Combining a school carnival with medical tests to check children’s blood for abnormally high levels of lead, the event is an example of the bizarre circumstances that families are contending with in Flint, Michigan’s seventh largest city. A series of public decisions, driven by misguided management practices and ideological principles that backfired, converged during the past 20 months to poison the city’s drinking water and cause one of the most severe public health threats in the United States. The extent of the risk to Flint’s residents is not clear. Flint’s crisis is the third time during the administration of Republican Governor Rick Snyder that decisions about water supply and water quality at the most senior levels of state government have put state residents in harm’s way. First, again as a result of the governor’s decision to appoint an emergency manager in Detroit, drinking water services were cut off in 2014 for thousands of city residents said to be in arrears on their water bills. But water services for many of the city’s largest commercial water consumers, which owed the city water department millions of dollars in unpaid charges, were not halted. Second, the Snyder administration, according to business owners and residents in northern Michigan, also has been slow to respond to the threat of a major Great Lakes oil spill from two 63-year-old pipelines that transport 540,000 barrels of oil a day across the Straits of Mackinac at the top of Lake Michigan. Environmental groups have said the pipelines pose an “imminent risk” to the Great Lakes and called on Governor Snyder to shut down the line. A state task force report released last year also raised serious concerns about the pipelines, but they are still operating. Flint’s water troubles began in April 2014, when the city of 102,000 residents in southeastern Michigan began sourcing its water from the nearby Flint River instead of receiving Lake Huron water from its longtime water supplier, the Detroit city water department. The move, made by emergency managers appointed by the state to bring an economically ailing Flint back to fiscal health, was estimated to save the city $US 5 million while it awaited the construction of a new pipeline to Lake Huron. The plan, which was strong on the value of “cost-saving,” but received scant evaluation for its technical feasibility, quickly unraveled. Over the next year and a half, a series of public announcements and troubling disclosures, many of them first reported by investigative journalist Curt Guyette, described Flint’s deteriorating water quality and growing public dismay. The water crisis in Flint has resulted in a U.S. EPA audit of Michigan’s state drinking water program, a federal investigation, and the resignation of the director of Michigan’s Department of Environmental Quality. Click image to enlarge. First, the city issued several boil water advisories in the summer of 2014. Then, in January 2015, Flint violated the U.S. Safe Drinking Water Act because its water contained high levels of total trihalomethanes (THM), byproducts of the water treatment process that, over time, can increase the risk of cancer and cause health problems of the liver, kidneys, and central nervous system. Finally, two research studies in the fall of 2015 found that the new water source was corroding aging water pipes, leaching lead into the system, and very likely causing a spike in lead levels in the blood of Flint’s children. Lead exposure can impair both mental and physical development in children, sometimes causing “profound and permanent adverse health effects,” according to the World Health Organization. Throughout the crisis, Governor Snyder appeared indifferent while state officials defended the emergency manager’s actions and repeatedly rejected claims that there was anything wrong with Flint’s water. As evidence of serious contamination mounted, the Snyder administration insisted the city’s water was safe to drink. 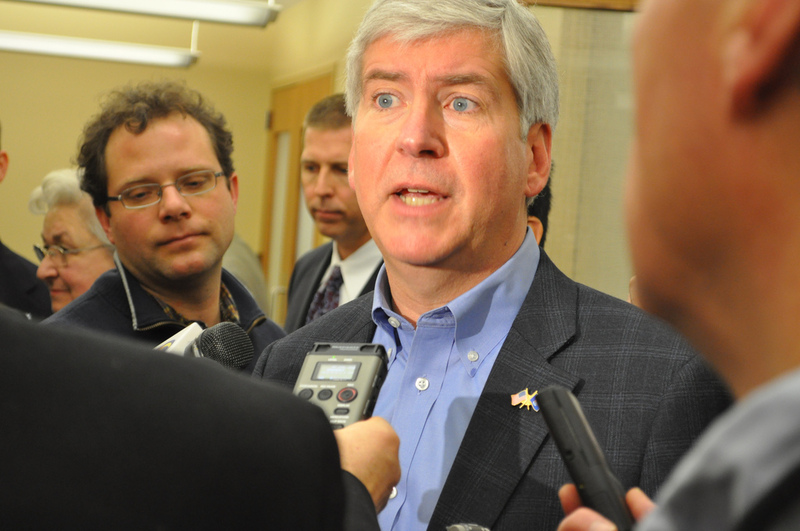 Governor Snyder did not acknowledge the unsafe condition of the city’s water problems until September 30, 2015. In 2014, a bloom of toxic algae in Lake Erie shut down drinking water supplies for half a million people in Toledo, Ohio. Click image to enlarge. In October, the state authorized Flint to switch back to the Detroit water system. The city also began adding phosphates to its water in December to help rebuild a protective coating inside pipes damaged by the corrosive Flint River. Meanwhile, state and city programs are providing residents with water filters, bottled water, and lead testing to help ensure safe water. 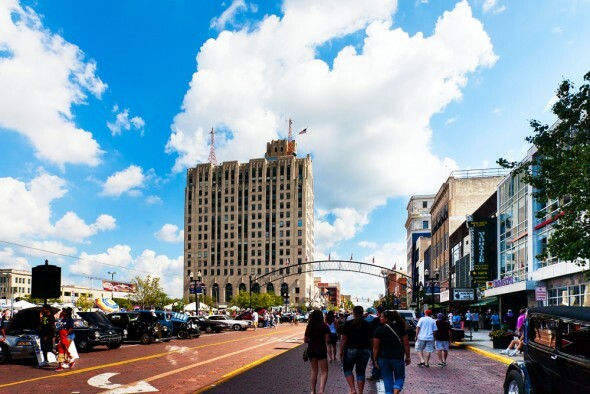 Critics of the Snyder administration’s management of Flint’s fiscal and public health turmoil note that the cost to the city and the state of the administration’s “cost-saving” strategy is likely to be considerable. The state has allocated $US 10 million to “test the water, distribute water filters, and help in other ways.” The money comes on top of the $US 6 million price tag to switch Flint back to the Detroit water system. Personal and class action lawsuits brought by plaintiffs seeking compensation for health damages could be inordinately expensive. The reasons: blood tests revealed elevated concentrations of lead in the tissues of many residents. And a bevy of documents uncovered by Guyette, other reporters, and researchers indicate that state officials knew of serious problems much sooner, but failed to act. “In their short-sighted effort to save a buck, the leaders who were supposed to be protecting Flint’s citizens instead left them exposed to dangerously high levels of lead contamination,” Michael Steinberg, legal director for the American Civil Liberties Union of Michigan, said in a November press release announcing an intent to sue state and city officials over the water crisis. Flint’s story of water dangers fostered by ideology, neglect, and indifference is, in many ways, a central national and global challenge of the 21st century. 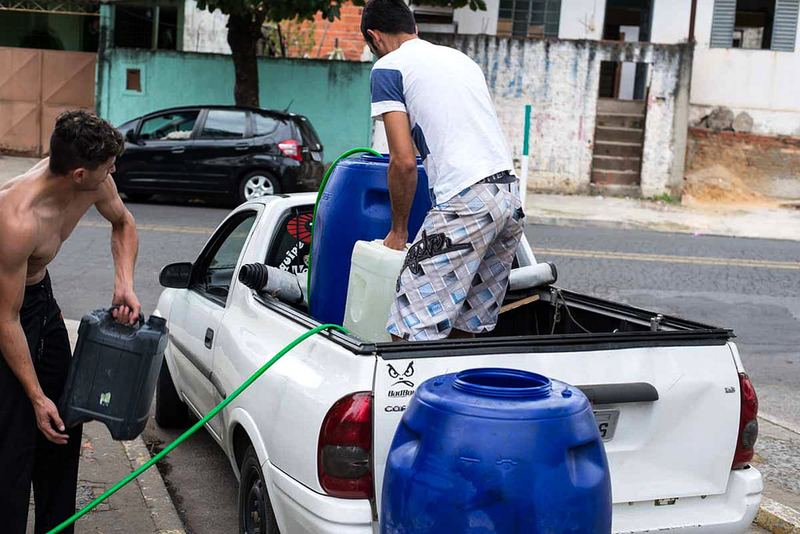 Sao Paulo, Brazil’s largest city, nearly ran dry last year due to a severe drought and aging infrastructure. Governments are forgoing investments in critical infrastructure, or failing to take changing markets and fast-changing environmental conditions into account. The result, in places like Flint, or Sao Paulo, Johannesburg and Mumbai, is decrepit, inadequate water systems that leave residents with unsafe water—or no water at all. In the Midwest United States and in India, it is depleted aquifers that threaten food production. 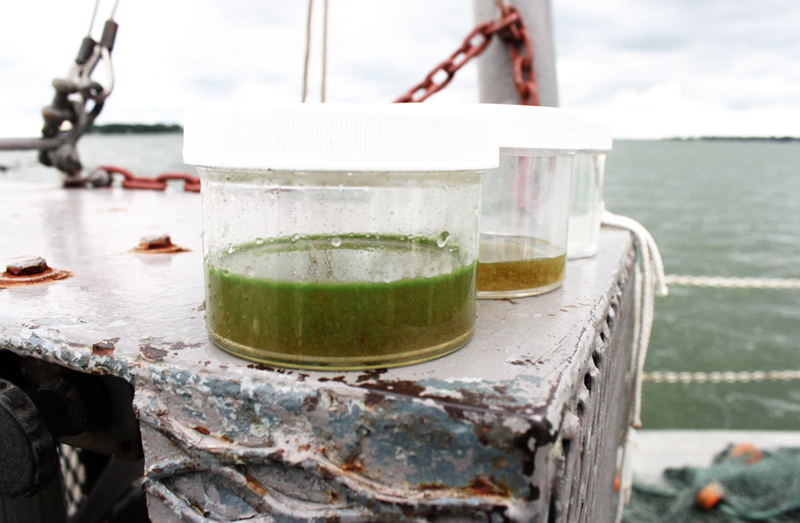 In Lake Erie and Lake Taihu, it is runaway nutrient pollution that fuels toxic algae blooms. On a global scale, the collective procrastination on climate action means countries must now make drastic cuts in their carbon emissions to avoid environmental collapse. And then there is Flint, which had no water problem until the state governor, driven by ideological principles of reducing taxes and administrative costs, appointed an emergency manager who decided to save $US 5 million, a relative pittance in big city budgets, without carefully evaluating the consequences. That misguided and unnecessary decision affecting a major public service put people in danger and resulted in economic costs that already are three times higher than what the emergency manager expected to save. In the case of Flint and other cities with aging infrastructure and no source of revenue from a U.S. Congress devoted to the same principles of tax reduction and disinvestment, the outlook is disturbing. The U.S. Environmental Protection Agency estimates that utilities in the United States need to spend $US 633 billion over the next two decades to supply water and to treat sewage. A 2012 report by the American Water Works Association said restoring and expanding water systems over the next 25 years could cost $US 1 trillion. Growing infrastructure repair bills and inadequate financial support from the federal government mean cities are raising water rates that inhibit the ability of some citizens to pay, and could affect economic competitiveness.